Parker Grant lives by her own set of die-hard rules which she developed over the years, after losing her mother and sight at age 7, and refuses to let anyone treat her differently because of that. But when Scott, otherwise known as Parker Enemy Number One for breaking the most important rule, reappears into her life, Parker is forced to wonder if she was too quick to judge Scott while attempting to handle her new way of life after the death of her father three months prior. I’m not going to lie, I was going into this book expecting it to be bad but, honestly, I thought it was pretty good. Up until the halfway point, I wasn’t sure if I liked Not If I See You First. Parker was way too judgemental and then complains about other people being judgemental. I thought her snarkiness was borderline being just rude. But as it progresses, she begins to re-evaluate her own judgement – particularly, the way she shut her ex-boyfriend, Scott, out of her life after an incident which broke rule number one (“Don’t deceive me. Ever. Especially using my blindness. Especially in public.”). I was very pleased when the second half of the novel acknowledges she had no obligation to forgive Scott if she didn’t want to. Both Parker and Scott were really respectful towards each other and took the time to discuss where they stood before rushing into anything. Not If I See You First explores the life of a blind teenager, showing us her way of seeing high school and dealing with her friends and family, presenting a self-sufficient young woman with a great and supportive network of female friends. I’ve seen people complain about the lack of romance, but I preferred it that way. Lindstrom gives Parker’s platonic relationships just as much value in her life, if not more than her romantic relationships. Within her friends, there’s a diverse range of friendships which overlap and I loved how each friendship between each person was different but worked and implemented the plot greatly. What I had a problem with was Parker’s character. She was unlikable and selfish at times. Although she does go through some great development, I still found her hard to like but it made her more realistic and is a much better option than portraying her as a one-dimensional blind girl. There are also scenes with a clichéd mean girl, and I just felt like that part wasn’t necessary. 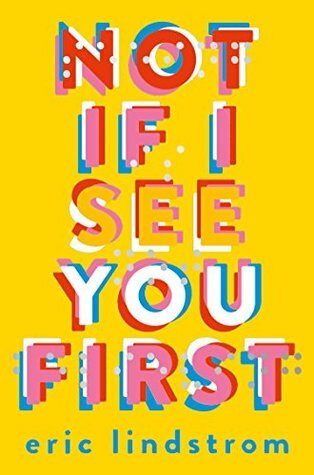 Not If I See You First is an interesting read, one that I definitely recommend.